The Return of the Vivisectors to Worcester! April 26 2013! Visiting from Russia, The Vivisectors bring Gulag Tunes from their homeland to Worcester. 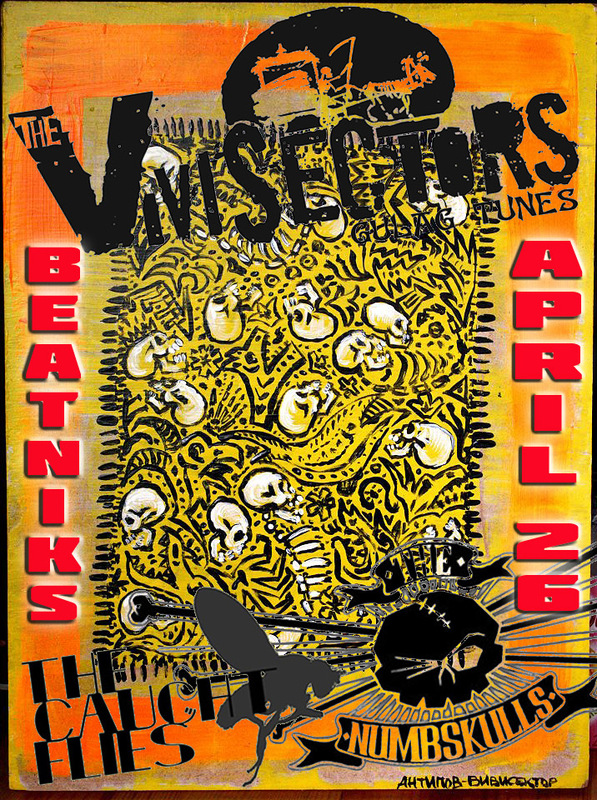 This is the fourth time The Vivisectors have brought their amazing gulag surf sounds to this country and the third time playing at Beatnik’s. 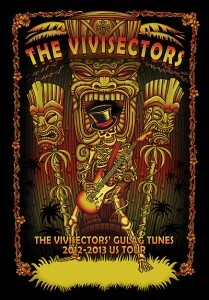 Combining sunny surf music and chthonic Russian prison songs while exploring the dark side of rock’n’roll. Opening will be NH’s Caught Flies. Four dudes from three New England states inspired to make loud, catchy, timeless rock and roll songs you can sing and dance to, drink to, fight to, drive very fast to (though don’t blame us for the trouble you get into). They don’t dress up pretty, don’t wear matching uniforms, don’t look the part at all and don’t plan to. 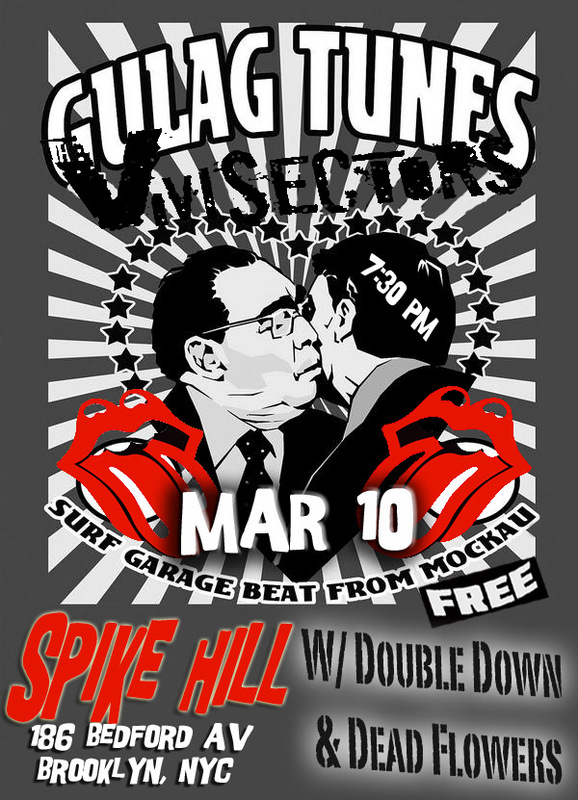 Snowed out last time at Beatnik’s The Numbskulls are a four piece neo-traditionalist punk rock band from Worcester, Ma. They have slept at your house, taken you naked swimming, gotten you drunk, toured the country, made your ears bleed, got you to start your first band, given you tons of free shows, played in your basement, put out 5 of your favorite records, and voted by you Best Punk Rock Band every year since they started this crazy trip. Something for everyone. 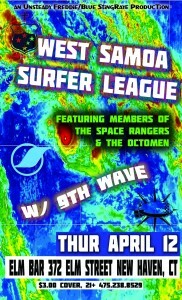 PUNK, PSYCHOBILLY, & BLACK METAL SURF! Three bands only $6! Artrocity has returned w/ photos from the first night of the tour. Enthusiastic crowd at Otto’s for the wild surf sounds. 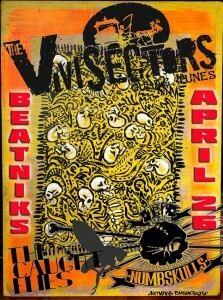 Great sets by Strange But Surf, Flesh,Matt Rae Trio & from Russia the Vivisectors! 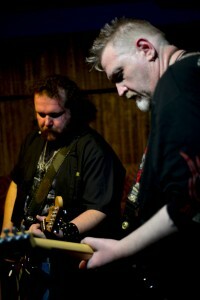 Go ‘like’ this rock photographer & see what you missed. 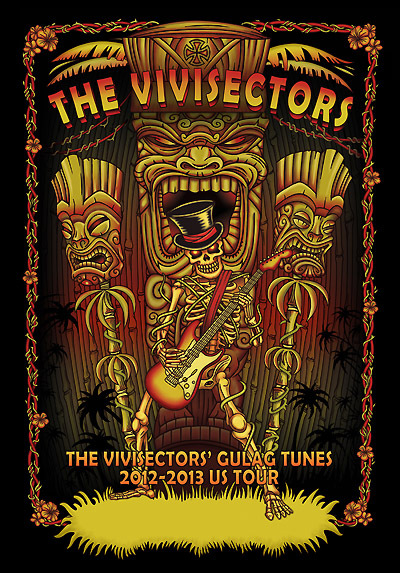 The Vivisectors’ Gulag Tunes live concert tour dates – Tour starts at Otto’s on Dec. 1 at Unsteady Freddie’s Surf Shindig and ends when they leave the US bleeding from our collective ears! 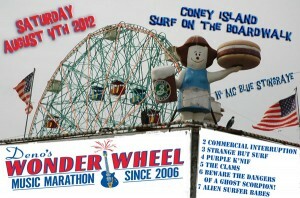 Coney Island Surf on the Boardwalk! 6 BEWARE THE DANGERS OF A GHOST SCORPION! 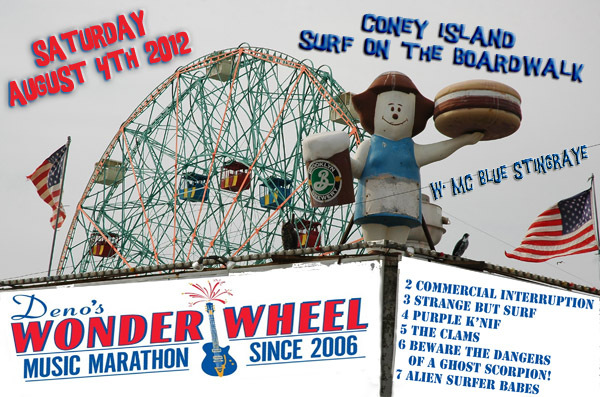 Posted in LIVE SHOWS, PRESS RELEASES | | Comments Off on Coney Island Surf on the Boardwalk! 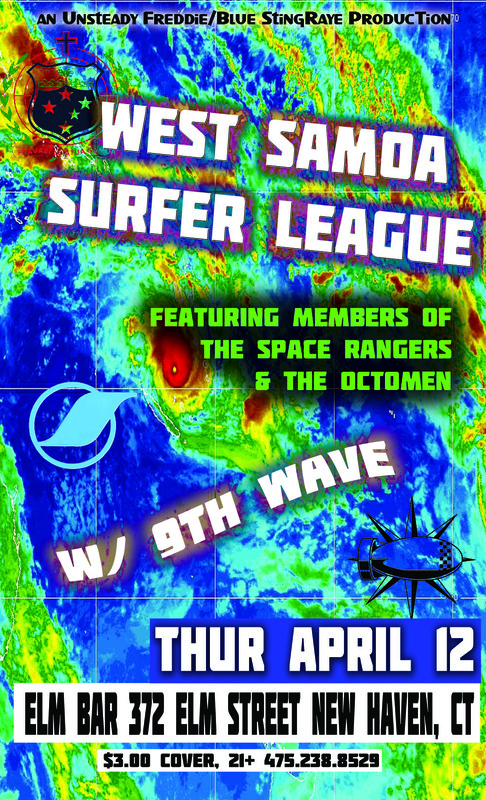 West Samoa Surfer League – A killer line up consisting of two Space Rangers (aka Daniel and Falko) all the way from Germany with Rattlesnake Ralph, from the NYC area band, The Octomen. 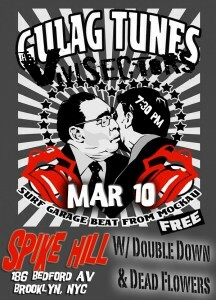 There has never been a show like this before, better catch a wave on this side of the pond while it lasts. Join Sean Kershaw, the self proclaimed Coney Island Cowboy, as he brings the music and memories that make life worth living throughout the east coast. 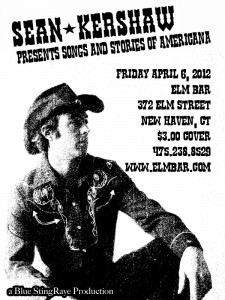 The night will be filled with original song and stories of life as seen through the eyes of a modern day troubadour. Spend the evening as if you were sitting around a campfire, enjoying a the cool evening air with close friends. 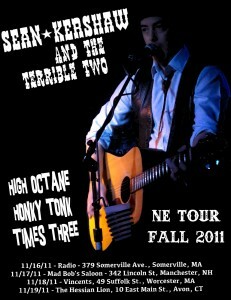 Shows will begin promptly and end when Sean and his guests run out of stories to entertain and amuse. 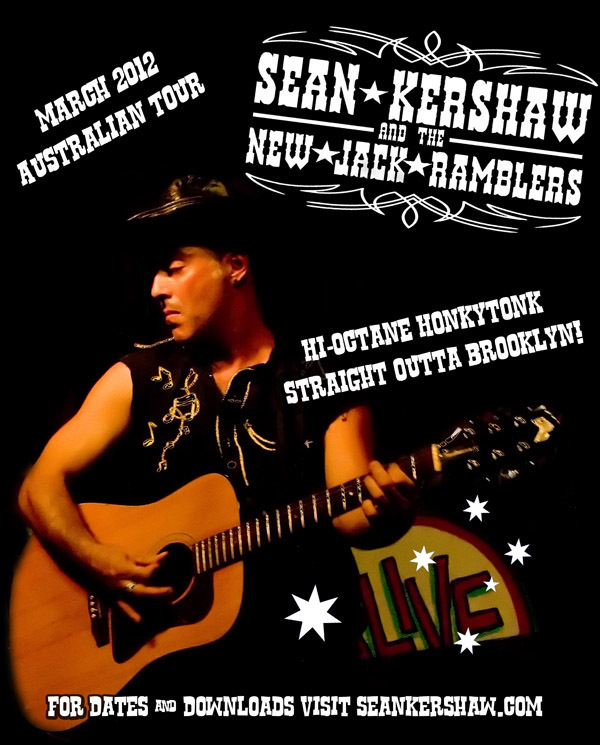 Sean Kershaw & the New Jack Ramblers are bringing Brooklyn country down under to Melbourne Australia for two weeks March 3rd -March 18 2012. 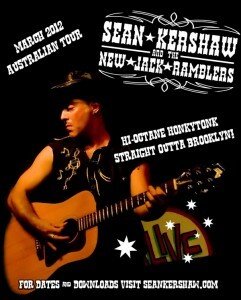 This is a rare chance to see the Coney Island Cowboy perform his brand of hi-octane honky tonk in Melbourne Australia! Wed 14th Mar 3Way-fm Warrnambool 8pm – ? Sean Kershaw and the Terrible Two bring hi octane honky tonk home when they come to New England for a 4-day tour from November 16 – 20. Every show is an adventure when Sean’s behind the mic!